With thousands of music-making plugins out there for the taking, sorting the worthy from the worthless can be a daunting task. Well, CM has taken on the task on your behalf, and after months and months of trying, testing (and discarding most of what we tested!) we've come up with this exquisite collection of the best free music software you'll find anywhere. No demos, no time-outs, just fully functioning plugins, with featured developers including the likes of Native Instruments, IK Multimedia, u-he, iZotope, Cakewalk, Voxengo, Prosoniq, Camel Audio, Blue Cat Audio and Two Notes, to name just a handful. Offering synths, samplers, ROMplers, effects, drum tools, amp sims, utilities and more - from virtual classics to previously-undiscovered gems - this superb selection will cater for your every music production need. Inside the magazine you'll find a full guide to the featured plugins, plus expert step-by-step tutorials to get you up and running. 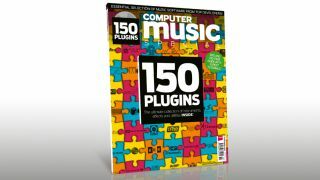 The print edition comes with 150 plugins on DVD, while the digital editions of the mag offer a slightly reduced downloadable collection of 124 plugins*. Get it now! *Note: the digital editions do not include the CM Plugins that come with the print edition of this CM Special and the monthly issue of CM.